Die-cutting Essentials 47 Sneak Peek! 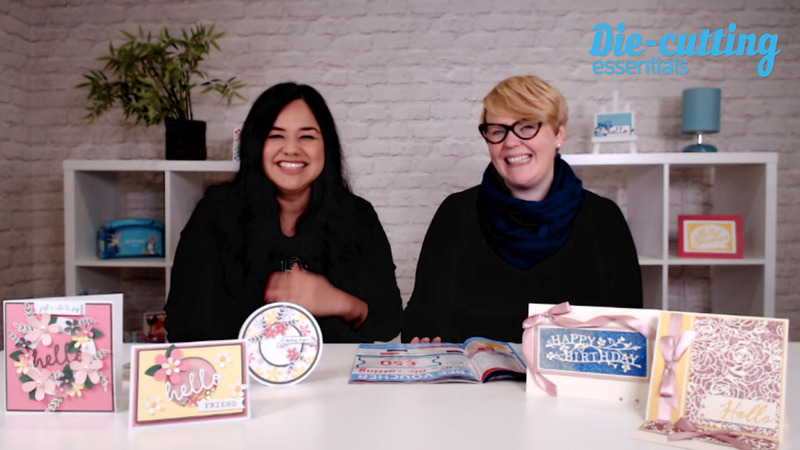 We sat down with Kirstie McCrum, editor of Die-cutting Essentials to talk about issue 47 and also the stunning HELLO SPRING 6-piece die set included with the magazine. We instantly fell in love with the wonky stitching and hello sentiment. Cute, right? This set is perfect for creating some springtime or all-occasion makes. DIY glitter paste – we show you how!